Students can now work toward a master’s degree while simultaneously doing volunteer service abroad, thanks to a newly formed partnership between Truman’s Office of Graduate Studies and the Peace Corps. Students participating in the Master’s International program first gain admission to the Master of Arts in leadership program where they would be encouraged to specialize in education, health or environment and agriculture. Admitted students then complete their applications to the Peace Corps. Individuals in the program typically complete one year of graduate coursework before beginning Peace Corps assignments. The two-year Peace Corps appointment counts as the required nine-credit internship experience. Tuition is waived during the Peace Corps assignment. 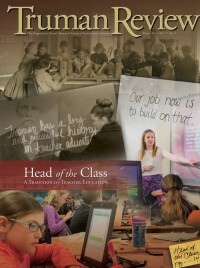 After the assignment, students complete remaining academic requirements and graduate with a Master of Arts in leadership. The program provides an opportunity to integrate international experience, cross-cultural awareness and foreign language skills with larger career goals. 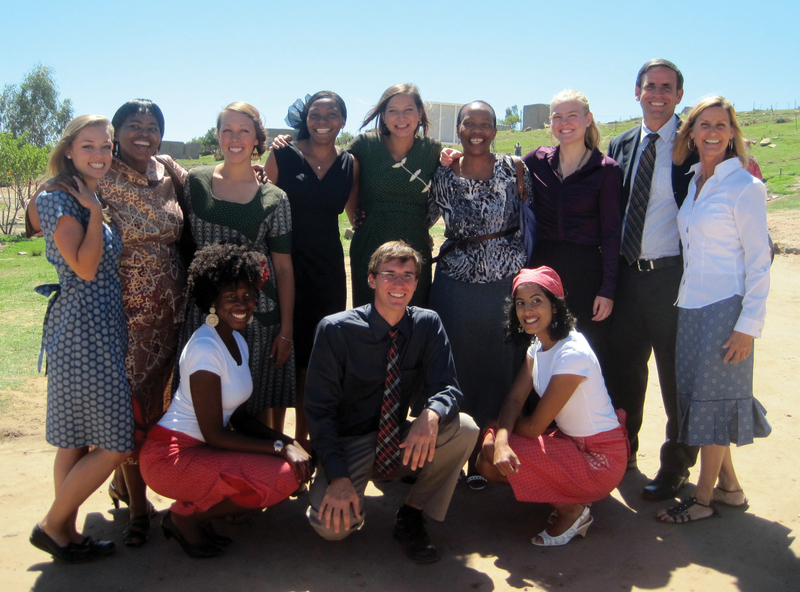 After two months of in-country training, Sadie Nelson (’11), pictured far left, and members of her training group enjoy their day of “swearing in” as official Peace Corps volunteers in Lesotho, South Africa. Nelson applied to the Peace Corps shortly after graduation. Her in-country training included passing a language proficiency test of the country’s official language, Sesotho. Through a new partnership between the University and the Peace Corps, Truman students who volunteer can also work toward their master’s in leadership during service time.